For the past 25 years we worked with Agrisoft Systems to develop Agronomic Information Management Systems (AIMS) for oil palm growers. OMP Fertilizer Planner, a decision support tool for preparing fertilizer recommendations. In addition, thematic maps can be produced for almost any parameter stored in OMP. We encourage all our clients to use OMP, the only comprehensive agronomic information management system available on the market. For more information, download a briefing paper here. 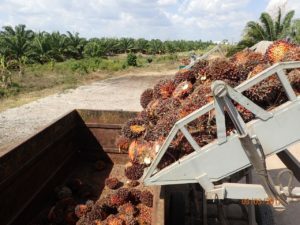 The original software was first developed and implemented in Indonesia in 1990 and has been continuously extended and updated to cover all major aspects of oil palm agronomy. OMP is now used in leading companies in >10 countries (total area >0.5 M ha). 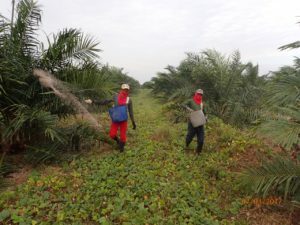 Whilst many accounting systems incorporate some agronomic data, OMP is the only comprehensive oil palm agronomic database software on the market. 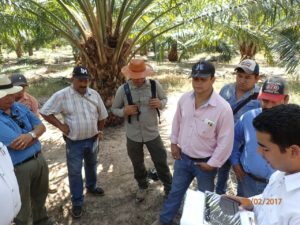 Field inspections are a key part of all approaches to yield improvement. But they are of limited value unless all key agronomic performance information is available to all personnel involved. OMP provides the means to close this ‘information gap’. TCCL recommends OMP as a ‘one stop shop’ for the storage and analysis of agronomic data in oil plantations. TCCL has been collaborating with Agrisoft Systems for the past eight years to develop improvements and new features to the software. OMP has become such an integral part of TCCL’s field work that it is difficult to envisage serious yield intensification work being done without first setting up OMP. Capacity to store data for large plantation (>10,000 ha) for multiple years. All agronomic data stored in one software. Built-in and comprehensive data analysis.